Now more than ever - our kids need help so they have a better chance at succeeding in school! The Salvation Army operates several youth programs right here in Southern Indiana. The programs provides children with a safe place to play and learn in a supervised and constructive environment. At The Salvation Army, we provide one-on-one teaching assistance to help kids of all ages with school work, study guidance and literacy advancement. Kids receive homework help, snack, recreation time, and arts and crafts time. Hours begin as soon as school ends until 6 PM. Currently, we pick children up from Mt. Tabor, Grantline, Slate Run, Scribner, and Hazelwood. Weekly fee is $30 per child and some scholarships are available based on need. For more information about Kid's Academy, contact Kelly Saydera at 502-681-2061 or Kelly_Saydera@usc.salvationarmy.org. Kids get together for food and fun every Wednesday at 5:30 PM. After a healthy and delicious supper, kids break into various age based groups for character building activities. Groups include Moonbeams (PreK and K), Sunbeams (girls 1st-5th grade), Girl Guards (girls 6th-12th grade), Explorers (boys 1st-5th grade), and Rangers (boys 6th-12th grade). Each group works to earn merits which help them learn about themselves, their environment, and their world, all from a Christian perspective. Children are recognized twice per year in a merit award ceremony during church. Church attendance not necessary to enroll in program. For more information about Supper Club, contact Kelly Saydera at 502-681-2061 or Kelly_Saydera@usc.salvationarmy.org. Allow your children to make new friendships, have a blast, explore Southern Indiana, and learn about the Bible at our Summer Day Camp program. Activities include swimming, reading, snacks, recreation, team sports, weekly field trips, and more! Trained staff supervise and mentor kids to make sure their summer is filled with fun and laughter in a safe and affordable environment. Weekly fee is $80 and some scholarships are available based on need. 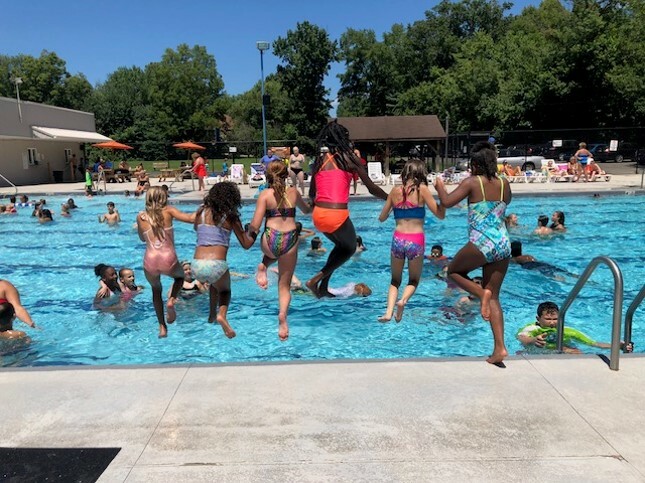 For more information about Summer Day Camp, contact Kelly Saydera at 502-681-2061 or Kelly_Saydera@usc.salvationarmy.org. Children are invited to go to our overnight camp located in Bedford, Indiana. Each weekly camp has a different theme and activities. For a list of each camp, dates, and age requirements click here. Transportation to and from the camp is provided from our main office in New Albany (2300 Green Valley Road). For more information about Hidden Falls Camp contact Kelly Saydera at 502-681-2061 or Kelly_Saydera@usc.salvationarmy.org. For information about Kids' Academy at The Salvation Army, contact Kelly Saydera at 502-681-2061.